Our beautiful engraved cake topper has a classic feel perfect for the more traditional wedding. The feminine floral design will never go out of style, so you can display our cake topper long after your wedding day. We will skillfully reverse-laser engrave your chosen piece for free with any couples names. Once your wedding day has passed, keep this cake topper for a one-of-a-kind keepsake to remember your special day. 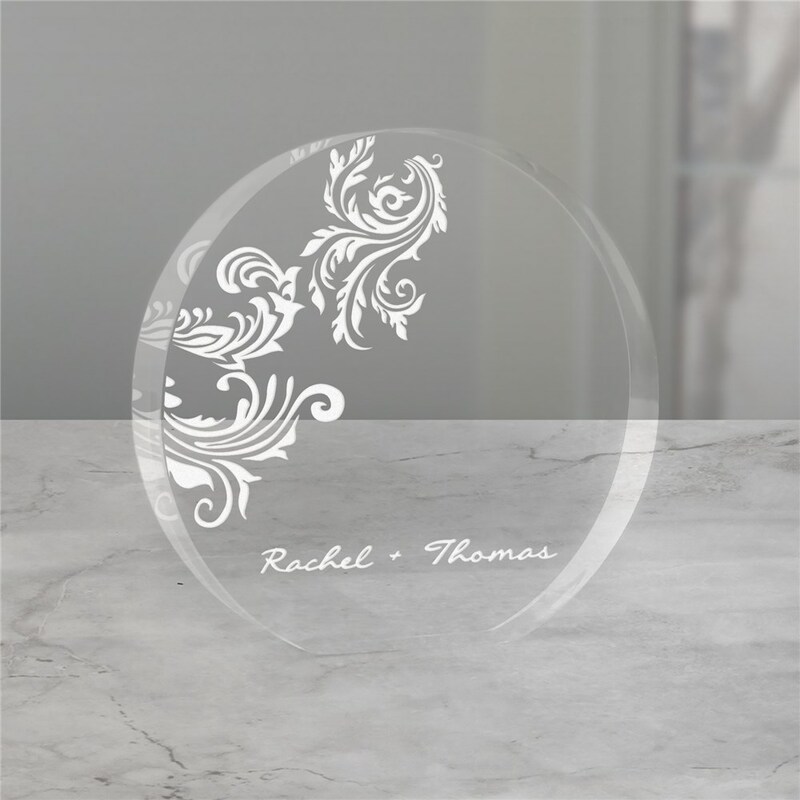 Our beautiful, heart shaped or round shaped cake topper is high-quality constructed from clear acrylic, measuring either 4” in diameter or 4" heart with soft edges measuring ½” thick.